This wedding was all about the details. Deanna and Joe included so many beautiful touches in their wedding and reception, many of which were made by hand by Deanna’s mom (including 5, that’s right 5, handmade flowergirl dresses, this woman is amazing). 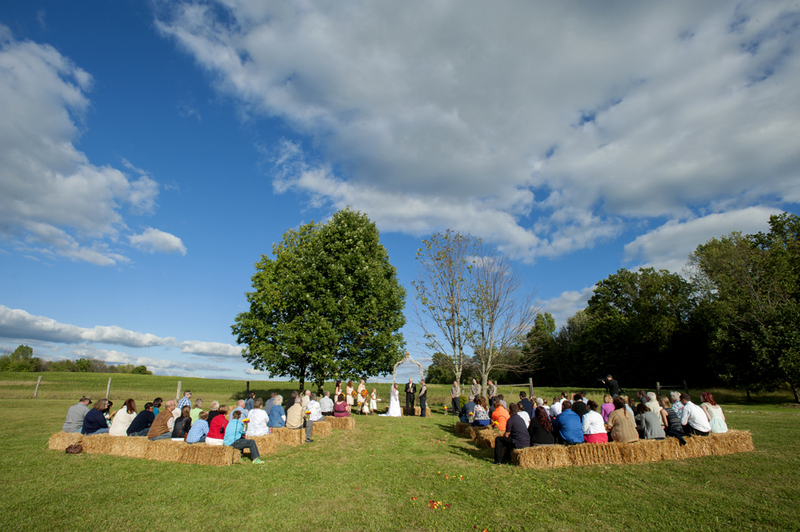 Deanna and Joe had a country themed wedding complete with red barn reception and hay bales for guests to sit on during the ceremony. It was a beautiful day! Congrats on your marriage Deanna & Joe , thanks for including us in your day! Three of the five dresses Deanna’s mom made, aren’t they perfect? Congratulations Deanna & Joe! This was a special engagement shoot, because I work with Danny, and it’s always fun to get a chance to do a photo shoot with friends. Danny and Molly are so much fun to be around, and a joy to photograph. You can just see how crazy they are about each other. In addition to being able to photograph this wonderful couple they also had me come photograph them where there wedding will be next year, a location that I have not been yet, Stan Hywet Hall and Gardens. Can I just say that if you’re a bride looking for a location that makes you feel like a princess this is it. With it’s castle like buildings and extensive grounds filled with beautiful gardens, Stan Hywet is gorgeous! Fairy Tale come to life. Congrats you two! I cannot wait for your wedding next year! Oh what a beautiful day! 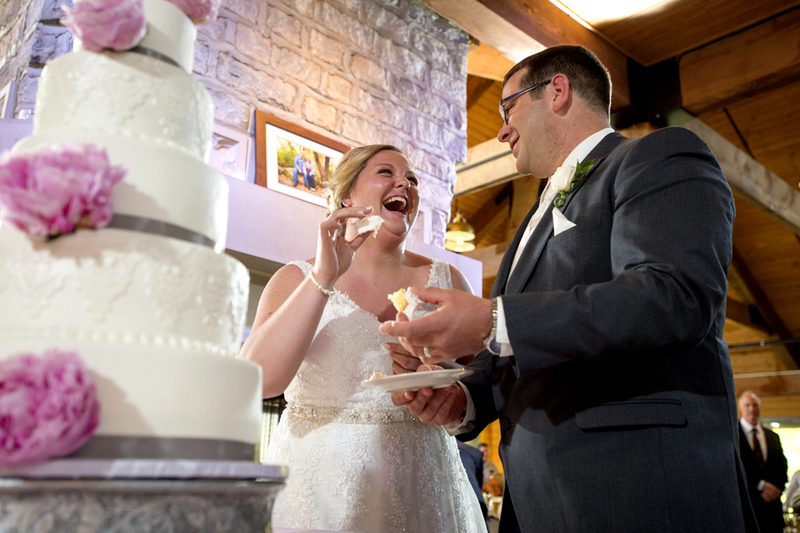 We were so honored that Tarah & Calvin picked us to photograph their day. 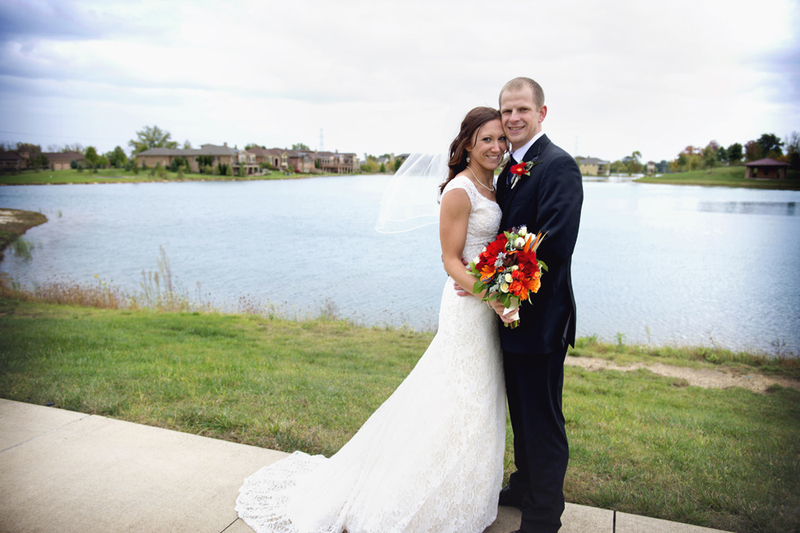 Tarah’s dress was beautiful, and the lace bolero she found to complete it was perfect! Pale pink bridesmaids dresses complimented the soft romantic style of the wedding. So happy for the two of you! Thanks for making us a part of your day!